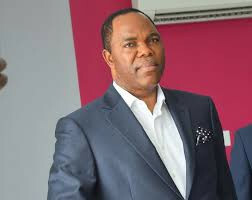 The attention of the Economic and Financial Crimes Commission, EFCC has been drawn to a report in Thisday newspaper of Saturday, February 9 with the headline: "EFCC Has Poisoned Tunde Ayeni in Custody, Allege Opposition Parties." The report according to the author, followed a press release issued on Friday, February 8, in Abuja by the spokesman of the Coalition of United Political Parties (CUPP) CUPP, Mr Ikenga Ugochinyere, wherein he claimed that "a credible source" revealed to him that Ayeni was currently undergoing treatment "in an undisclosed medical facility after he was poisoned in the detention cell of the EFCC." Other journalists have called to ask if the story is true that he was dead. We also wish to state that so far, there has not been any report of any dire health condition on Mr Ayeni and it's likely there would not be. The public may wish to know that the Commission in the course of its duties has become conversant with all manners of theatrics from some suspects who would elect not to cooperate. Any other consideration outside this is unknown to us. Again, much as we find the claim of being handed a list of 45 opposition figures "to invite, arrest, detain and restrain before the opening of polls on February 16," as contained in the CUPP release utterly nonsensical, we note that it is a grave disservice to the country at this material time for anyone to seek to aggravate the heat in political space with a reckless rumour such as this from the CUPP.